While the words are true, they are worthless without action. PPS Foundation visited various colleges and universities to find out what students needed to complete their studies. 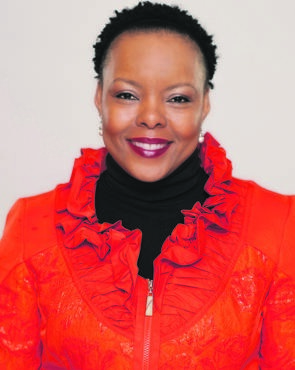 Vuyo Kobokoane, executive head at the foundation, said: “Financial support is important but it is just not enough. In some courses, 50% of students drop out in the first year. “Some students need support to help them during their studies – especially if they are from disadvantaged backgrounds. “The bitter truth is that many students are hampered by something as basic as hunger. It is for this reason, the foundation’s bursaries cover tuition and books as well as meals and accommodation. “Many students also need psychological and financial counselling and mentoring to make the transition from school to university, and again from university to the workplace. “We also offer a graduate internship programme and we have an online portal to provide students and young graduates with access to employment opportunities. “The foundation has a three-day training programme to teach graduates the skills they need to land their first job. “The challenge holding many students back is not just a lack of money. It’s a complex problem that needs multiple but flexible solutions. “All this becomes costly very quickly so we are limited to only 61 students. “We want to increase the foundation’s reach as well as the number of students it can afford to educate,” Kobokoane said.